Synopsis: For some unexplained reason, letters to Santa Claus are being returned to the children of Junctionville. It seems some resident has angered St. Nick by calling him "a fraudulent myth!" Skeptical Albert Mouse has to be brought to his senses "and let up a little on the wonder why." How Albert is persuaded to change his tune paves the way for Santa's jolly return to town - and the joyous finale of the animated fable inspired by Clement Moore's poem and produced by the merrymaking conjures of Rankin/bass studios. 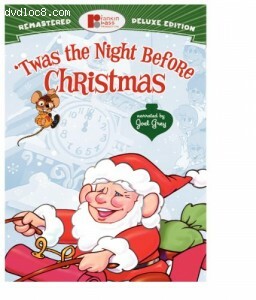 The voice talents of Joel grey, Tammy Grimes, John McGiver and George Gobel make this festive fable even more fun. Christmas: A Global Holiday: Animated Comic Book Exploring Yuletide Traditions Around The World.